Buying used car is a worthy choice for many people to save money, but before going to buy or sell a used car, it is always important to know about its exact quality. Especially, you need to get proper advice from experts. 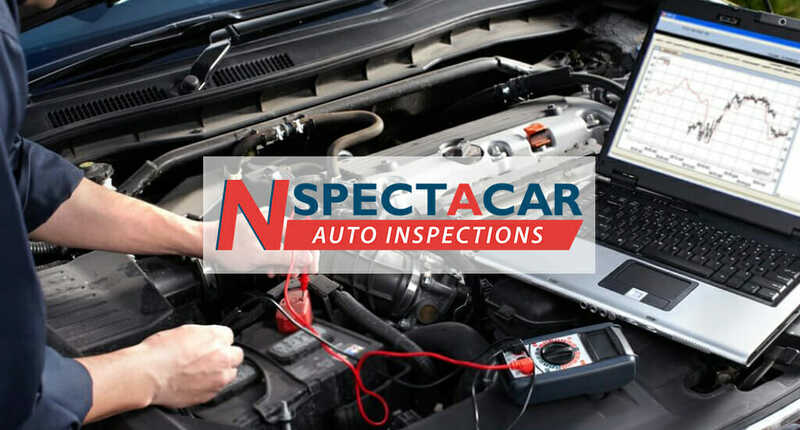 If you are in the need to used car inspection then you must approach experts at Nspectacar.Com, it is the one-stop destination for the people who need a quality used car inspection services. In general, Nspectacar has more years of experience in this industry and aim to offer quality solutions to the clients at a fair price. However, the experts provide best inspection solution based on your needs so you will peace of mind. Along with the used car inspection service experts also offer the best advice related to the inspection. If you approach experts for used car inspection the experts start to do everything with a little planning. Overall, experts have the ability to handle everything easily so you can get fast service solutions. Apart from that, you no need to worry about any hidden- cost. A professional mechanic can offer the best service along with technical support. Obviously, Client’s safety is the main priority of many exerts so everything will be done in a professional way. At Nspectacar used car Inspections are always done by the well trained as well as experienced mechanics, even the experts are also specializing in different brands of cars as well as make so every repair or maintenance or inspection job is performed with advanced tools and specialized equipment’s so you no need to experience any complications in future. The inspector helps you to save time and money by offering the finest service solutions. If you approach experts for used car inspections they completely examine everything as well as understand the exact problems related to your car to provide the best possible solutions at a fair price. If you found any issues or fluid leaks in your vehicle it is better to approach experts for proper inspection. The online reviews are available for the reference that allows you to know how best the professional car services are. Nspectacar has the professional team of well-experienced inspectors so offer the complete inspection across the full check of 100-points. In general, the professional car inspection service is covered in each part of the vehicle or car that also helps them in developing a precise report. The 100 point inspection includes inspection of Muffler, exhaust, pipes, resonator, brackets, and cooling system. Experts also inspect about differential leaks, transmission leaks, rotors parking brake, oil leaks, Inspect brake pads etc. everything will be handled by the professionals.